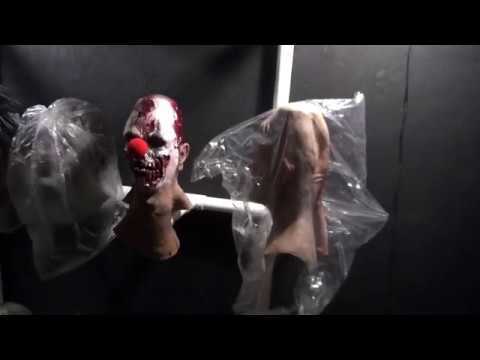 I just posted the walkthrough video of the trailer haunt I have for sale in the trading post. Just wanted to post here to let anyone waiting for the video know that it is now up. Thanks Larry, I wasn't sure I was allowed. Here's the link to the walkthrough video, I can't figure out how to embed it. That's quite the impressive setup!!! Great work and good luck with your sale! Thanks!!!!! Did you embed my video? I see the box where it should be but I don't see the video. The haunt was a ton of work to build, Thanks again. How much are you asking for this thing? Very impressive I must say!!! The asking price for the haunt is $95,000.00 and $18,000.00 for the Terror simulator. The haunt will go to the highest offer I get, I will not be running the haunt anymore. I have some interested parties with offers around $85,000 for both but no sale yet. The haunt is in storage for the winter, I don't expect it to sell till summer. Sent you a PM on video projection. UPDATE: The trailer haunt and the Zombie Simulator have been SOLD. Thanks to everyone that contacted me and good luck to the new owner. Would you mind sharing what city and place this went to? Or have them contact millers thrillers in TN. Id be interested in discussing an idea I have for the use of this.